Compatible with WordPress 4.9.6 and WooCommerce 3.4. 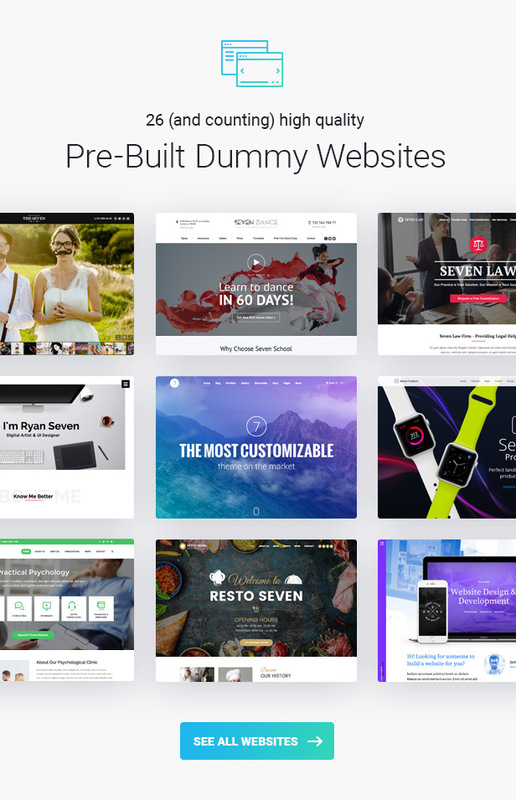 To make your workflow as productive as possible, we’ve created 26 (and counting) high quality dummy websites that you can import in only couple of clicks and use as a foundation for your website. 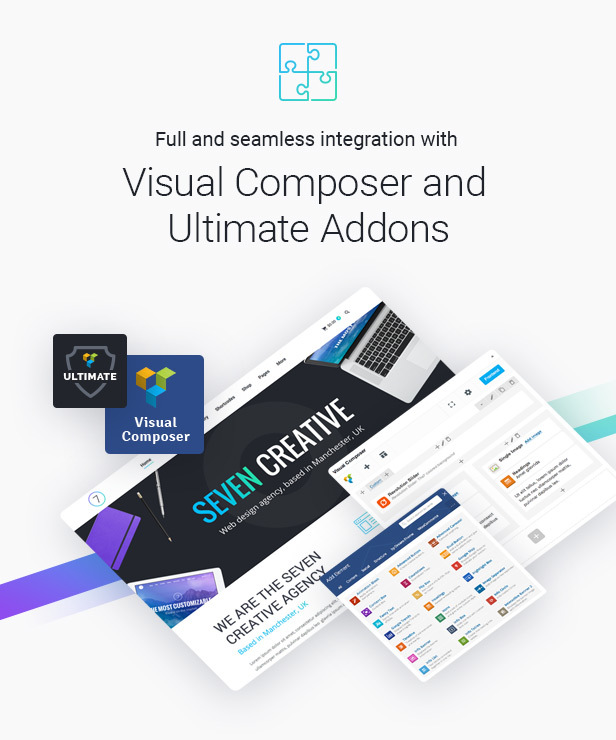 Theme comes with exclusive The7 Elements plugin that further enhances and extends Visual Composer capabilities. 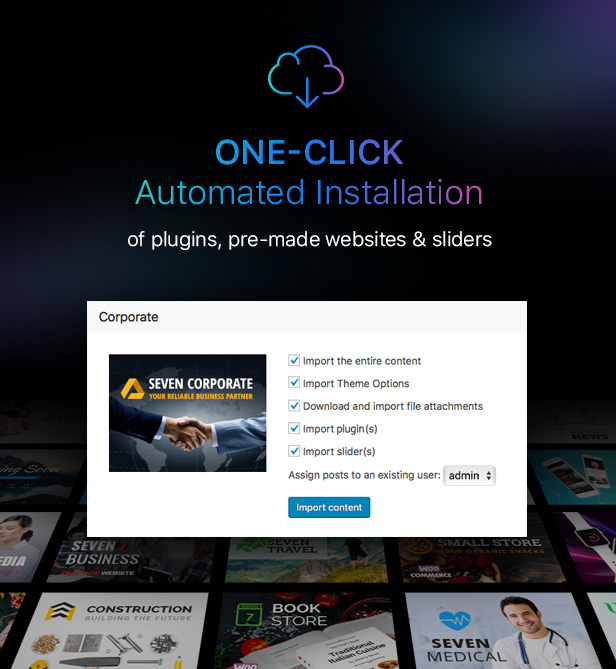 It adds dedicated post types, page templates and VC shortcodes/elements for Portfolio, Photo and Video Albums, Testimonials, Team and many others! The7 has an advanced and unique page templates system. It allows to choose a header layout, sidebar, footer, and over 230 other settings for each page/post/project/etc. individually. 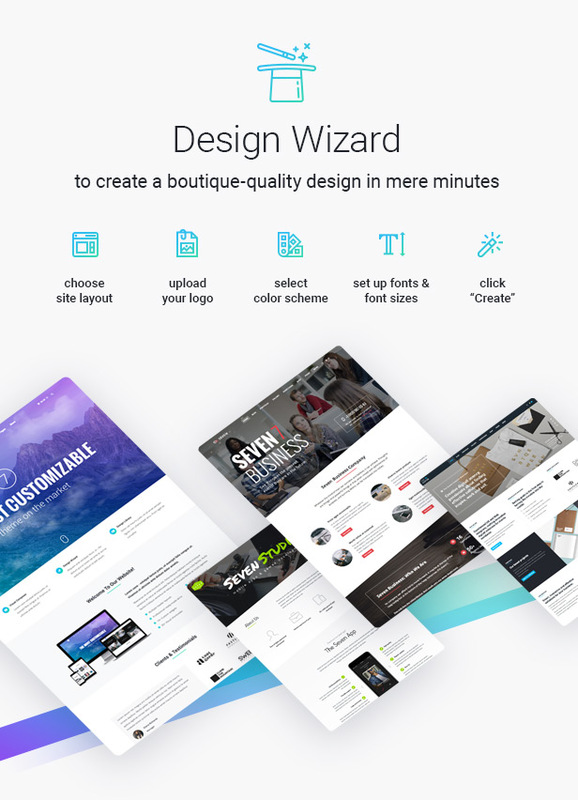 You can even have landing pages and micro-sites within your main website with no additional set up! 3. Improvements to floating headers transitions - now they are as smooth as the butter. 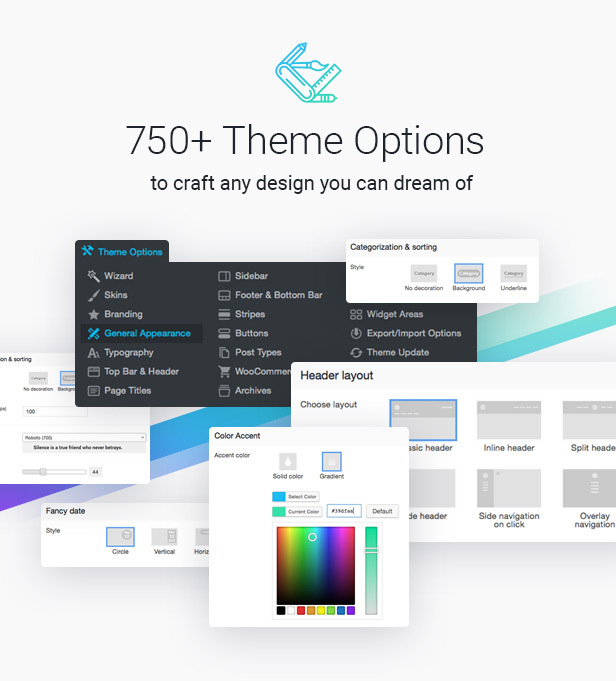 Looking for themes by author "Dream-Theme"